I’m back from my short hiatus. It was good to have some time away, but the problem with taking time away is that there’s always so much to cover when you get back. And I’d also like to thank everyone who took the time out to read and/or comment on my guest posts and interviews. You are all amazing, and I salute you. On that note, it’s time now to announce the winner of my very first giveaway for my very first book! Congratulations to you both! I’ll be emailing you shortly. And now I need to go and fix it. It’s going to take a while. But thank you for stopping by today. See you around the blogosphere. I’m taking some time out of my week o’ adventure with my niece, the Angel Child, to say hello and to tell you that the Effigy blog tour is visiting author Christine Rains today where I discuss some of the many, many reasons why I adore Joss Whedon. And while that is a topic which could produce an endless number of pages, I did limit myself to 500 words. Or maybe a few more. But not a lot more. 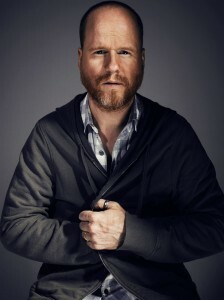 It’s seriously a short post, especially when you consider that it’s me talking about why I love Joss Whedon. Which is actually here, now that I bring it up. I’d love to stay and chat more, but today is Sugar Cube Castle Day, and I have some work to do. 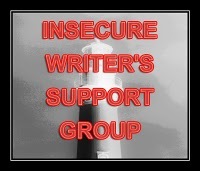 The first Wednesday of every month is devoted to the Insecure Writer’s Support Group where writers from all over post about their concerns and fears and receive support and encouragement in return. And vice versa. Click on the link above or on the badge to the left for more information and a complete list of participants. In addition to being insecure here, I’m also insecure over at L.G. Smith’s blog where I talk about strong, female characters in a completely insecure way. That’s right…it’s Double Insecurity Day! Not quite as much fun as Double Coupon Day, but still maybe a little entertaining? 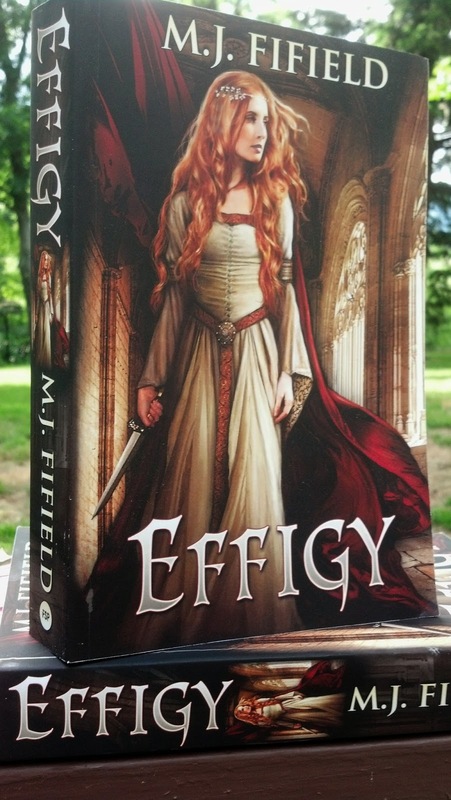 So, I know I haven’t mentioned this at all, but my debut novel, Effigy, has been out for a couple of weeks now. I think things have been going well, but I’m not sure. I mean, it’s not like I have anything to compare it to. All I have is this pit of constant worry where my stomach used to be. Sure, I worried before publication, but now it’s reached this whole new level, and I find it terrifying to think that there’s another level of worry. And probably one past that, too. But still, I’m not very sure I’m very good at being a published author. If people ask about the book, I immediately become so tongue-tied that complete sentences are beyond me. That is, if I haven’t already melted under a table or a rock or whatever’s handy. Someone asked me to sign a copy of the book, and I spelled my name wrong. I was flustered, embarrassed, my hands were shaking, and the next thing I knew…wrong. Wrong, wrong, wrong. Which is why I chose to immortalize it in this blog. And Twitter. And Facebook. I like to think that things will get better, easier, with time, but the fact remains that I’m still me, and awkward is (apparently) in my DNA. But at least I’ll have plenty of fodder for plenty more IWSG posts. That’s going to do it for me today…I’m off to practice writing my name. Just kidding—I’m off to my day job, but maybe I’ll practice on my lunch break. Before I get started with a riveting recitation of goals and progress, let me say that the Effigy blog tour visits the blogfather himself, Alex J. Cavanaugh, today where I’ll be talking about the music I write by. Stop by and check it out! 1. Walk, run, or bike at least 102 miles. Completed. I logged 125 miles last month. 3. Finish Part Two of Second Nature. Nope. Not completed. I’m not surprised—this goal was a pipe dream from the start. 4. Complete guest posts for blog tour. Not quite completed. I have one left to write, and two to send out. If you’re one of the bloggers waiting for those post, I swear they’re on their way. Very, very soon. I actually read three. One was good. The others…not so much. Last August I covered 102 miles, so this month I will endeavor to do more. Last month, I ended up deleting a lot of stuff. Not exactly the progress for which I had been hoping, but what are you going to do, right? Certain scenes weren’t working, and they had to go. Maybe this month I shall replace them with scenes that do work. Second Nature‘s word count is currently sitting at 222,400. Maybe by next month, it’ll be higher. Last month was three books. Maybe this month I could read four. Maybe more. Probably not more. And on that note, I’m outta here. I have another sure-to-be-fun shift at the day job. See y’all on the other side, and thank you for stopping by today. 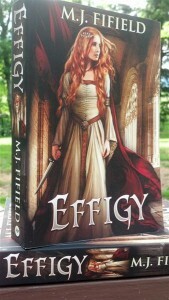 Today the Effigy blog tour pays a visit to author E.J. Wesley where he asks some excellent questions, and I thoroughly embarrass myself answering them. Stop by and check it out! The Effigy Kindle Edition is now available. It’s actually been available since the beginning of the week, but I am truly terrible at remembering to tell people these things. The ePub version continues to be delayed. But of course it is. I do hope, however, that it will be ready by the end of the giveaway. Speaking of which…there’s still plenty of time to enter. You know, if you’re interested. That’s going to do it for me today. Thank you again for all of your kind words and support—not just on this blog, but wherever I happen to pop up on any given day. Hope y’all have a fantastic weekend!